LEGO does a seriously great job at recreating the most famous vehicles, battle scenes and everything in between from the Star Wars galaxy. The sets are authentic, nostalgic and most importantly of all, fun! 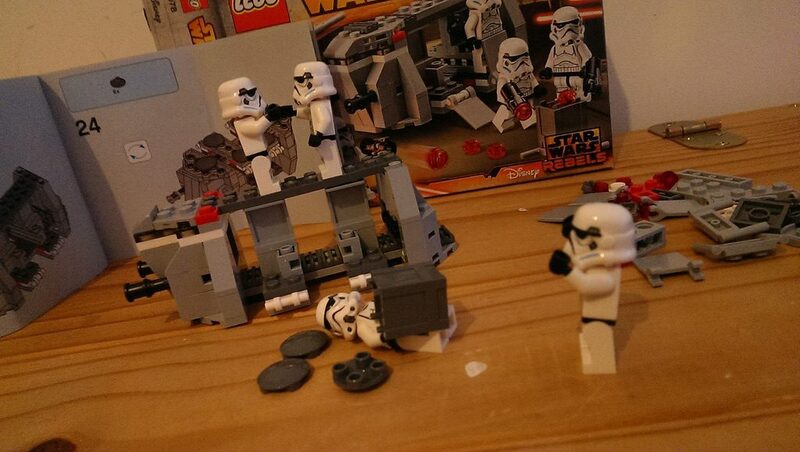 Not only can you find great enjoyment in building these sets, you have a lot of fun playing with them. 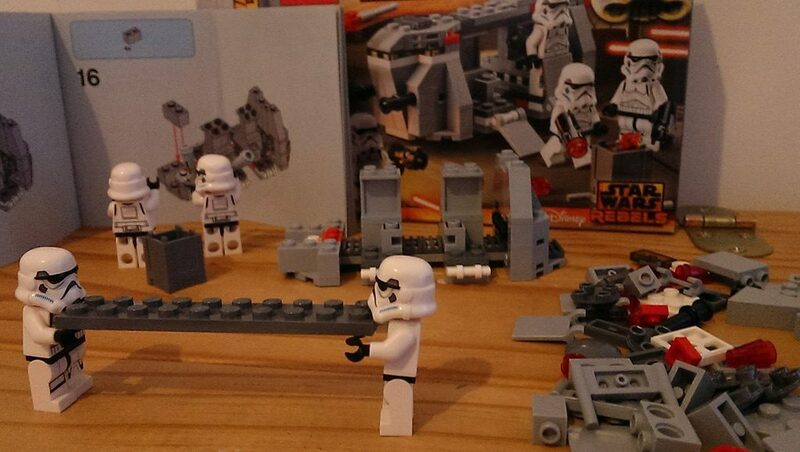 Whether you buy Star Wars LEGO to play with or to display in a cabinet, the pleasure in building the sets is second to none. From here on out, here on MakingStarWars I’ll be bringing to you reviews of past, present and maybe even future sets! 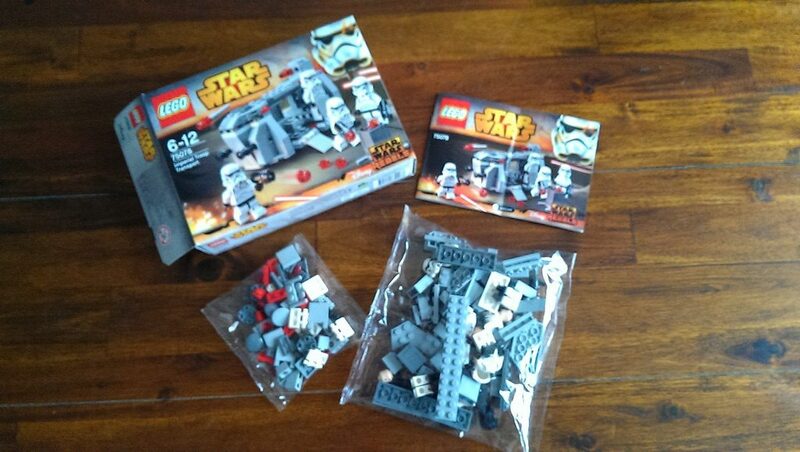 I’ll be giving you a rundown of exactly what these sets are and what’s included, you’ll then be able to go on your next shopping spree knowing exactly what you’ll want to buy for your Star Wars LEGO collection. 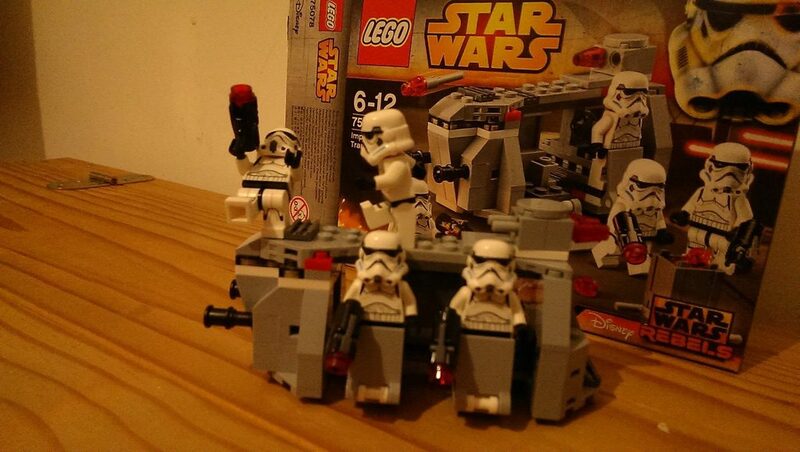 The set includes four Stormtroopers based on the animated style of the show. 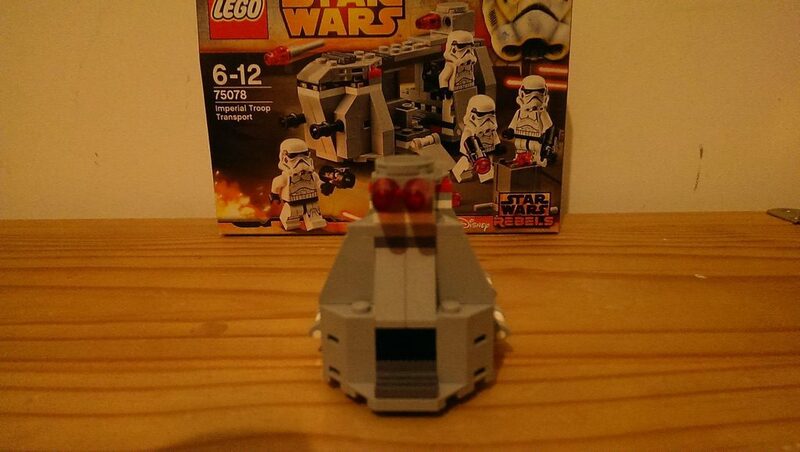 Each trooper comes with a blaster that is able to fire missiles at quite a good distance, they all come with removable helmets and one-sided faces. There are two facial expressions that are printed on their faces, with two troopers having an angry expression and the other two having a smug grin on their faces. 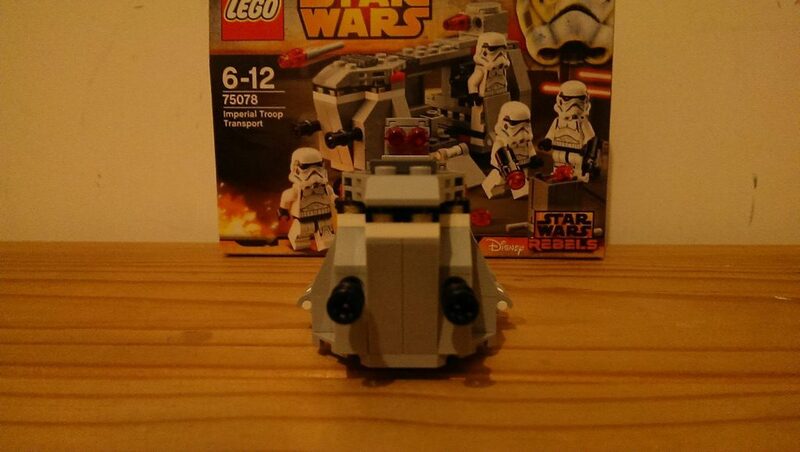 The Troop Transport itself was a very simple build, coming with 141 pieces it is very small in scale. This is the only issue I have with this set. I feel it could have been slightly larger to include room for a cockpit and pilot, as you can see the scale of the transport is off compared to the actual version from the show. 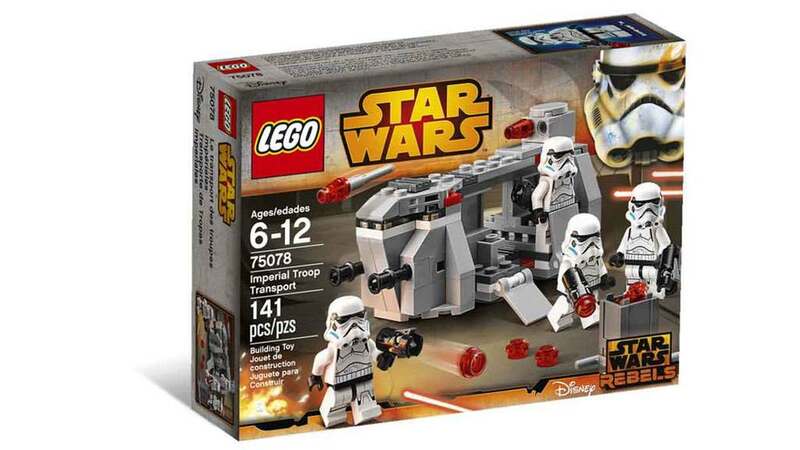 However this is only a minor issue and who’s to say they won’t remake this set in the future in a larger scale making room for a cockpit and two more transportation sections to equal the six we see on Rebels. 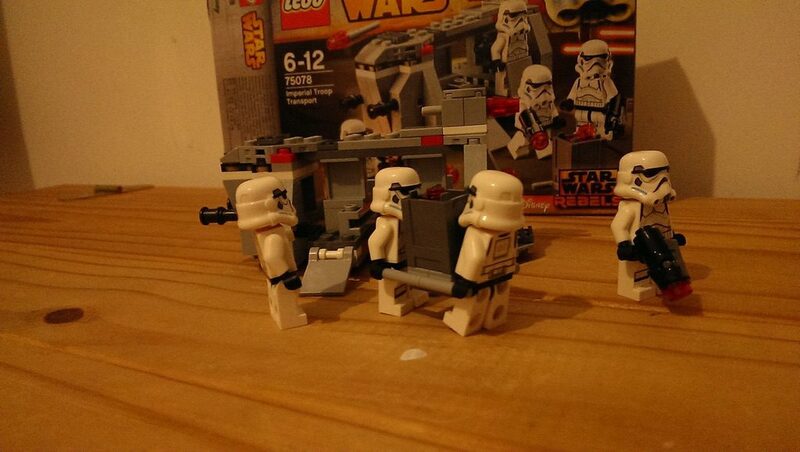 The Imperial Troop Transport is a sturdy set with limited but necessary playability features. 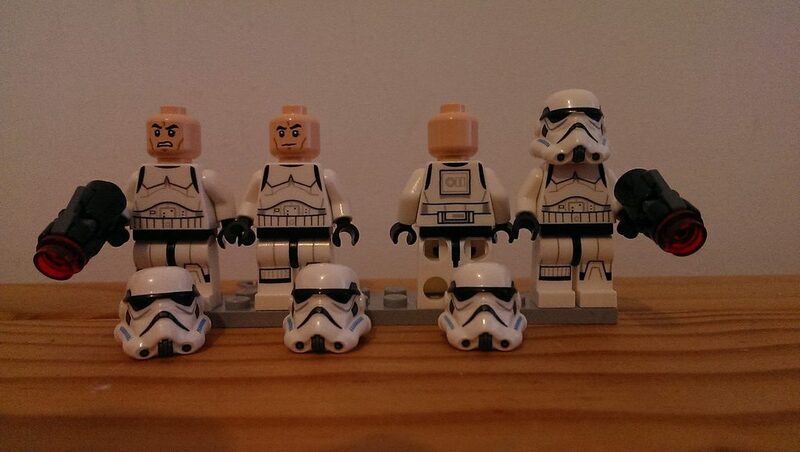 Coming with four Stormtroopers this is a great army builder and makes this set worth the purchase. Retailing at £11:99 UK ($12:99 US) it’s worth picking up, it may even be worth grabbing two or three so you can really add to your imperial ranks, and build an army worthy of the Emperor! I hope this review was informative, keep your eyes peeled for my next review coming this week on a larger scaled set!